He sports a long red cloak, a red vest, a red sash around his waist, and a red plume in his hat. If his name wasn't Carlos Scarlett, then I suspect the villagers would dub him Captain Crimson, the Burgundy Balladeer, or some similar colorful name. We first meet Captain Scarlett (Richard Greene) when he saves a runaway bride-to-be from bandits. It turns out the bandits aren't so bad after all. Scarlett, who has returned to his home for the first time in years, learns from the local Friar that all is not well. Following the end of the Napoleonic Wars, mid-tier tyrants moved in to lay claim to the rich lands of France. In fact, the nefarious Count Villiers (Eduardo Noriega) has confiscated Scarlett's estate. After a short stay in Villiers' dungeon, Scarlett teams up with an outlaw (Nedrick Young) and Villiers' unwilling fiancee (Leonora Amar) to oust the villain and restore the lands to their rightful owners. Scarlett: What do you want? What did I want when I climbed in here or what do I want now that I've seen you? Leonora Amir and Nedrick Young. Made in Mexico in 1953, Captain Scarlett is notable chiefly for its cast. While Richard Greene may be the most recognizable name, he never won an Oscar...and co-star Nedrick Young did! 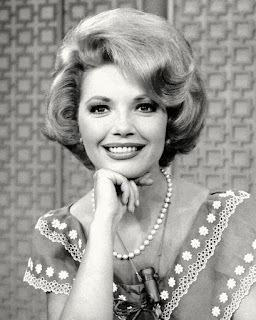 In addition to acting, Young also wrote screenplays and received Oscar nominations for The Defiant Ones (1958) and Inherit the Wind (1960). 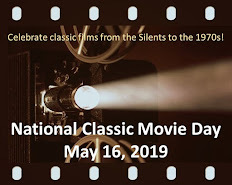 He won the Academy Award for the former, although he penned both films under the pseudonym Nathan E. Douglas because he was blacklisted at the time. In 1993, 25 years after Young's death, his widow Elizabeth MacRae successfully petitioned the Academy of Motion Picture Arts and Sciences to restore Young's credit for his Oscar. The leading lady in Captain Scarlett, Leonora Amar, only made nine films. Yet, she was popular enough in Mexico to be dubbed the Brazilian Venus. She graced the pages of LIFE magazine in 1951 and, according to the book Beauties of Mexican Cinema, she was touted as "the Esther Williams of Mexican cinema." Captain Scarlett was her only English-language film and it was also her last one. She retired from the screen at age 27. 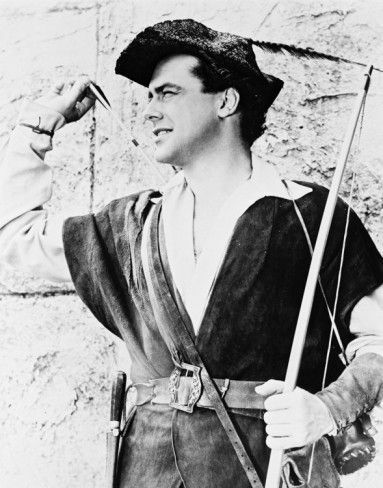 Richard Greene as Robin Hood. As for star Richard Greene, his once-promising career stalled after an interruption to serve in the British Army during World War II. By the early 1950s, he was entrenched in "B" movie adventures such as The Desert Hawk, Shadow of the Eagle, Rogue's March, and The Bandits of Corsica. The silver lining is that his ease in playing those kinds of roles led to his casting in the syndicated TV series The Adventures of Robin Hood. Starting in 1955, Greene appeared in 143 half-hour episodes as Robin Hood. When the series wrapped up, he played Robin one last time in Hammer Films' 1960 big-screen adaptation The Sword of Sherwood Forest. Richard Greene makes a likable hero in Captain Scarlett. And while it's not an undiscovered gem, it's a pleasant swashbuckler with an interesting cast. Plus, it's certain to inspire you to search your wardrobe to find something red to wear. 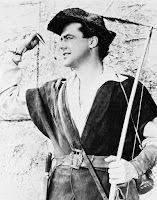 All Captain Scarlett needs to recommend itself to me is Richard Greene, but if you tell me it is a "pleasant swashbuckler" then it goes right on the list for "pleasant swashbuckler Sunday". Sounds like a good Saturday morning flick! I like movies like these and I'm glad Richard Greene enjoyed making them because he sure is easy on the eyes. That's interesting that Young was a screenwriter AND actor, that's an unusual combination. I didn't know Nedrick Young was also a screenwriter. Talented fellow!